Experts agree that the two best times for planting a lawn in Colorado are early spring and early fall. If you don’t want to go the whole summer without enjoying the beauty of a lush green lawn, you’re probably thinking about planting in the next few weeks. Since the secret for getting a newly sodded lawn to thrive is proper watering, this would be the opportune time to have your Denver sprinkler service to come out to your home and install a new sprinkler system. You’ve probably read a lot online about the pros and cons of installing a sprinkler system before sodding and vice versa. There is a lot of conflicting info out there but we have the perfect solution- let us do both! Our professional landscapers will handle the job from start to finish ensuring that by the time the 4th of July rolls around, your lawn and landscaping will be the envy of the neighborhood. Our landscape designers will come out and not just measure for sod but suggest an entire landscaping plan to turn your yard into a showplace. They will suggests which plants, trees, or shrubs would be good for your particular environment. They’ll recommend plants that would keep pests away, prevent erosion, and most importantly, add beauty. They can also identify any problem areas where runoff or drainage might be a problem, correcting any issues before they arise. Once a design is in place, preparation can begin that gives your lawn the best chance of thriving in Colorado’s unpredictable climate. Properly balanced soil is the foundation of any healthy lawn or garden. Our landscaping experts will come out and test and treat your soil for ideal pH balance and nutrient content. Appropriate soil prep must be done weeks in advance of planting for best outcome. The difficult clay soil that is prevalent in the Rocky Mountain region requires rototilling for proper drainage and absorption of any amendments that may be added. After rototilling the area will be cleared of all rocks and other debris that may have been tilled up. Once this process is complete our technicians will be out to install the sprinkler lines. Once installed the area will be graded over to eliminate any water traps or uneven settling. Generally speaking the area will be graded roughly 1 inch below surrounding sidewalks or other borders to prevent runoff. Once final grading is complete, sprinkler heads will be installed so that pre-watering can begin. Fertilizer and water retention elements will be added at this time. Your installer will advise you how often you should water before sod installation. After the sod is laid, installers will roll the sod over to make sure it is level and making good contact with the soil and fertilizer below. This step is essential for strong roots to take hold. 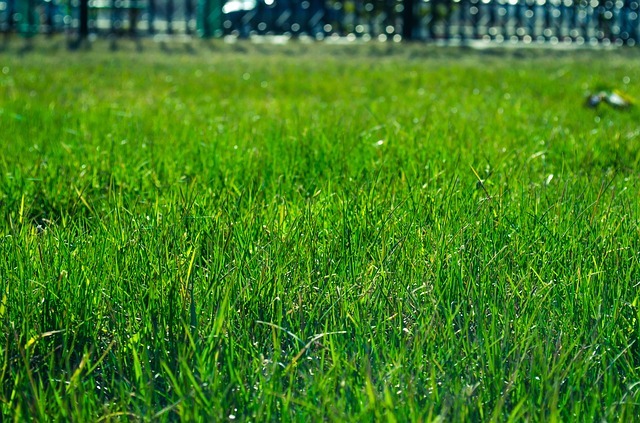 For the first 10 days try to keep lawn traffic to a minimum so that it will remain level. You’ll be thankful that the sprinkler system is installed at this point because it’s necessary to keep the lawn wet for at least 10 days. According to Denver Water and their Rules for Watering Newly Planted Landscape, customers with newly planted landscaping can water as much as necessary for 21 days, after which time they must adhere to the conservation schedule. Many think that anyone with a truck and a strong back can lay sod but nothing could be further from the truth. To properly lay a lawn it takes a trained professional who understands proper planning and preparation. Sod is expensive and tearing out and starting again is costly, not to mention time consuming. Call the experts at Water Solutions to ensure that every measure has been taken from start to finish to save you time, money, water, and to make your lawn the envy of the neighborhood. Call 720-435-1495 for an estimate.